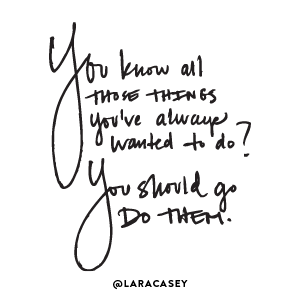 Are you a doing it all or doing what matters most kind of girl? For me I often find myself overwhelmed by the burden of trying to get it all done. And to think that I don’t even have near the responsibilities of those of other woman, who are balancing motherhood, marriage and ministry. In The Life Ready Woman: Thriving in a Do-It-All World authors Shanti Feldhahn and Robert Lewis asks us women to examine our lives in light of God’s design. The freedom to excel can also lead us to take on burdens we were never meant to carry, to find ourselves stressed and torn, and to experience an outlook that that is all too often marked by worry or guilt instead of the absolute peace of knowing we are in the exact center of God’s will every day. As affirming as learning about and embracing these feminine calls may be, women are warned that these callings can leave us vulnerable to sinful tendencies such as manipulation, being controlling, and resisting set limits. Part two focuses on living in view of our callings and how to be better stewards of our personal gifts by reliance on God. It’s so easy to default to walking the path that we already know rather than the one God is leading us to. It addresses the many faucets of womanhood from married women to the older single woman, who each faces a very different set of circumstances. The authors did not sugarcoat the fact that to really live according to God’s design requires self-sacrifice and obedience, which is not always popular or easy. About the author: Shaunti Feldhahn is a former Wall Street analyst, best-selling author of the book For Women Only, national speaker, and regular commentator in the media. She has been featured on The Today Show, PBS, TNT and Fox News- to name a few. You can learn more about her many activities by visiting her website Shaunti.com or get some great mom advice from her at MomLifeToday.com. She and her husband live with their two young children in Atlanta, Georgia and enjoy every minute of living at warp speed. Does this sound like a book, you would like to read? As a part of the LitFUSE blog tour I was graciously provided a copy to give away to one of my readers. Simply enter your name and email address in the form below to enter. DISCLOSURE: I was provided a complimentary copy of the book for review purposes as a part of the Litfuse blog tour. I was not required to write a positive review. This absolutely sounds like a book I could use. Entered – thanks for the opportunity, Wanda! Thanks for the chance of winning this book, your review was great. Robert Lewis I have a son of the same name…….but he don't write. Thanks for the visits and comment which I appreciate. Wanda – sounds like a great book. It's speaking about many of the issues I was thinking and blogging about last week. As a woman, I need to mindful of my priorities and activities. As a Christian woman, I need to rely on the Holy Spirit to help me sort it all out. Because the devil will also attempt to get me so, so busy, that I burn out and become useless for the Lord's work. Hey Sis,,, Just stopping by to say thinking of you!!! From the way it sounds, the book really interests me. I hope i could win. I feel that this book would be very enlightening to me as a woman. Just entered! Living "…according to God’s design requires self-sacrifice and obedience, which is not always popular or easy." When I read that, I immediately thought, that's true for both men and women. Thank you for your visit on my Debut 8 blogfest, you write you have never heard of these, short and to the post, well recently I walked around the Hall Of Fame In Nashville, and apart from a handful of legends have never heard of the majority, living over the other side of the pond we both get artistes that the other never hear of, some make it to the other side others not but I included Americans, and international stars. posting them off …….I am not very qiock on a pc and I thought your comment was non commital. Great review Wanda, the book sounds like very useful to one like me who can never seem to get done all of the things I need to.